Some might have thought it a hassle to be hauling such a large load of percussion instruments, but Renee Kessler didn’t mind. 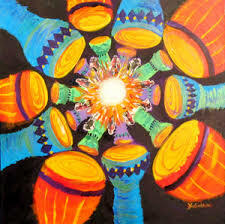 She was thinking of the sudden smile she’d see when her mother-in-law began rhythmically shaking the maracas. Or the joy she’d see in Mr. Norman’s eyes as he beat the drums. She was glad to see the circle of residents in the memory care unit waiting for her and relished offering them choices of bells, clappers, triangles, drums, tambourines, and rain sticks. “Through our drumming circles, we give people choices, we inspire them and we wake them up. Their eyes brighten when we play music,” Renee says. Renee has a long history of waking people up through engaging them in creative arts. She worked as a teacher for an esteemed arts school in West Palm Beach, Florida, and now serves as a consultant, helping students prepare for arts programs. And she’s long been involved as a family care partner. When a drummer friend invited her to visit memory care units with him, she was eager to go; she’d been collecting instruments for years. The experience was meaningful for all involved. Once they talked to each participant and distributed the instruments, the drummer set a beat and gradually everyone chimed in. Being part of rhythm and music energized and equalized everyone and built a sense of community, creativity, and connection. 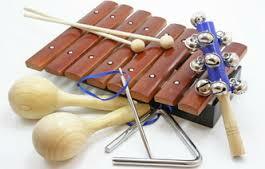 Want to create connection through percussion instruments? Set the tone with a drumbeat or select a CD of familiar music with a definite beat. Offer a choice of noisemakers. If needed, you can beat a pen on a book or put some beans in a jar to make an impromptu shaker. Or you can hit two spoons together. Encourage your loved one to make as much noise as possible. Do the same. There’s liberation in making noise and there’s a sense of connection sharing the same rhythm.